In 1997, Eugenie Poleyeff, went swimming on 29th Street and Collins Avenue in Miami Beach. Eugenie ran into trouble and screamed for help. 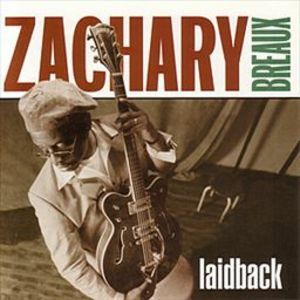 Zachery Breaux, a jazz guitarist, jumped into the water. Zachery’s wife and children ran up and down the beach looking for a life guard. Zachery eventually reached Eugenie in the water. However, he was not able to rescue her. In fact, they both drowned. Both Frederica Breaux and Israel Poleyeff, a rabbi, brought lawsuits. These lawsuits claim that the City of Miami was negligent in failing to have life guards. They also claimed that there should have been riptides warnings at the beach on the date of the incident. The lawsuits indicated that Miami Beach had parking facilities, shower facilities and concession stands for beach goers but had no life guards or notifications to beach goers concerning riptides. The courts in Florida found there was no liability. In a decision in 2009, the Florida Supreme Court eventually ruled that cities had a responsibility to warn beach goers of dangerous conditions that they were aware of. After a decade long battle, the family of Zachery Breaux, received a court award of $5,000,000. 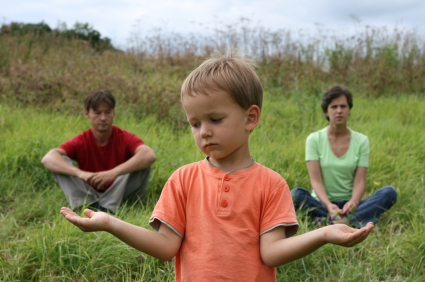 Unusual situations and unusual injuries may involve liability. Should you, a friend or family member be injured, you should consult the Law Office of Elliot S. Schlissel for a consultation as to whether the injuries are actionable. So e-mail us or give us a call anytime at 800-344-6431. A couple in Louisville, Kentucky were looking for a hotel room. They had their two young children in the car. Two unmarked cars blocked their vehicle and men emerged from these vehicles with guns in their hands. The man (Mr. Brewser), thinking the couple were going to be robbed fled nearly ran over one of the men with drawn guns. Eventually, he realized that he was being chased by the police. When the police stopped him he told them he thought he was being robbed. The men were in plain clothes and no one identified themselves as a police officer. The police slammed Mr. Brewer to the ground, causing him injury. While the police were pursuing him they were shooting at the Brewer’s vehicle. Courtney Pruitt, who was in the vehicle with her small children was shot in the arm. Mr. Brewer and Courtney Pruitt have sued the Louisville Metro Police for false arrest and improper shooting. Sometimes, police officers make mistakes. If you are the subject of improper police conduct, call the Law Offices of Elliot S. Schlissel for a consultation to discuss whether you have a remedy to deal with this unfortunate situation. We can always be reached by e-mail or at 800-344-6431. 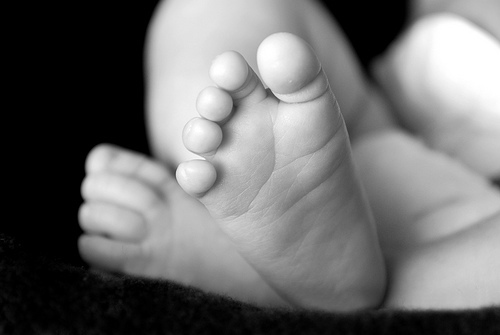 In January of 2008, Jennifer Spiegel, gave birth to her son. A baby was brought to Jennifer’s room to be fed and Jennifer nursed the baby. Unfortunately, the baby she nursed was not her son! Eventually, a nurse in the maternity ward discovered that Jennifer was nursing the wrong baby. When Jennifer was made aware of this, she became very depressed. She said it was a horrible internal feeling. Jennifer has now sued Evingston Hospital in Chicago asking for $30,000 in damages. That’s a lot of money for a small amount of breast milk! Should you have a problem regarding medical care or a hospital, the Law Offices of Elliot S. Schlissel will be happy to give you a free consultation to discuss whether you have an actionable case. So e-mail us or give us a call anytime at 800-344-6431. Here we go again. As we explained back in April of last year, it’s quite possible to get a DWI just for being in or near your car, even if you’re not driving. One evening in Minnesota, Daryl Fleck, had about a dozen beers. He felt intoxicated and he decided to sleep it off in his car which was parked outside of his house. 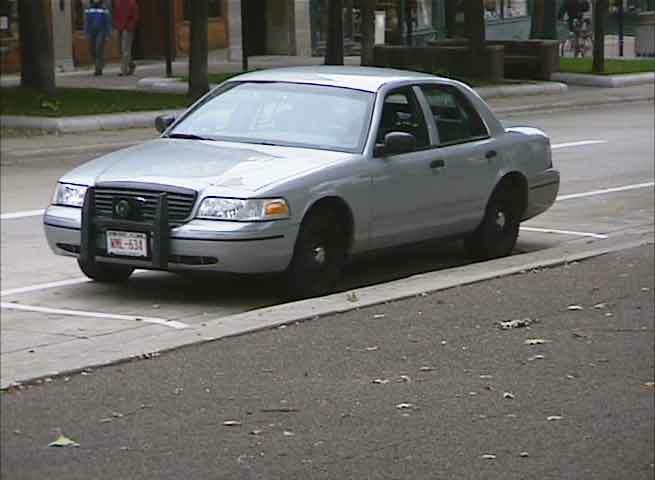 When the police arrived, he was sleeping in his car with the driver’s side door in an open position. Daryl had left his keys in the center console of his car. The car keys were nowhere near the ignition. At the time the police arrived the engine was cold and there was no indication the car had been started. The police officers determined that Mr. Fleck was intoxicated. His explanation as to why he was sleeping in the car made no sense to the police. Minnesota has a legal blood alcohol limit of .08. 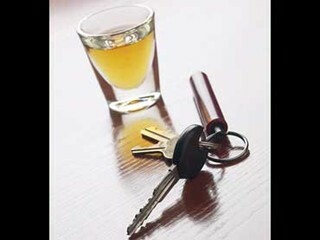 At the time of his arrest, Mr. Fleck’s blood alcohol level was .18. Mr. Fleck was convicted of driving while intoxicated in Minnesota because he had access to the vehicle while intoxicated. He received 48 months in jail plus 5 years probation. He appealed his case all the way up to the Minnesota Supreme Court which affirmed his conviction. His attorneys were able to show the court that even if Mr. Fleck had put his keys into the ignition and tried to start the car it would not have started. This is because the car was not in running condition. There have been case in New York that our office has been involved with involving individuals charged with driving while intoxicated who had never started their car. I have repeatedly told clients that in the event they are intoxicated, do not go near your car. The courts have given very liberal interpretations in the State of New York as well as in the State of Minnesota as to when the crime of driving while intoxicated occurs. In New York you simply need to be in your car in the driver’s seat in an intoxicated state with access to the ignition key. Should you be charged with driving while intoxicated or driving under the influence of alcohol, it is important that you consult a law firm experienced in handling these matters. For more than 30 years, the Law Offices of Elliot S. Schlissel have represented individuals on DWI and DUI matters. We have provided excellent representation to hundreds of individuals who have been charged with drinking while driving offenses. Should you or a loved one be faced with a criminal charge of driving while intoxicated, e-mail or call us at 800-344-6431. We can help you. 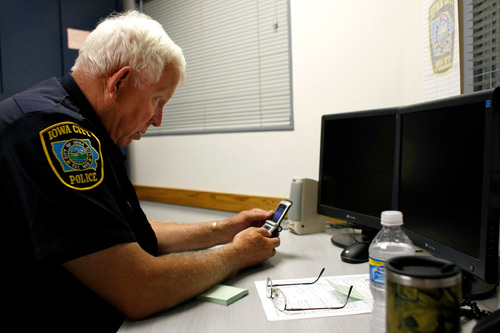 Can the Police Search Your Cell Phone Without a Warrant? In Ohio, cell phones protected by the 4th amendment’s prohibition against unreasonable search and seizure by the government. In a recent decision, the Ohio Supreme Court has ruled that police officers need to obtain a warrant in order to search a cell phone. This decision by the Ohio Supreme Court takes into consideration the fact that cell phones today go far beyond the means of basic communication. They are mini computers that store large amounts of personal information. From this point forward, the personal information becomes a protected privacy right, at least in the State of Ohio. Although most searches require warrants, police officers are allowed to search their immediate surroundings when dealing with potential arrests for their own self protection. The Ohio case involves a man named Antwaun Smith. He was arrested on drug charges. At the time of his arrest his cell phone was ceased and later it was searched. The police found information important to their investigation on his cell phone calling records. The recent ruling of the Ohio State Supreme Court was a divided 4/3 vote. The decision indicated that Mr. Smith’s protection against unreasonable search and seizures under the 4th Amendment to the US Constitution were violated. The court, in its decision stated that cell phones are “capable of storing a wealth of digitized information”. The court’s decision indicated that individuals using cell phones have an expectation of privacy which is protected by the 4th Amendment to the US Constitution. The Ohio court’s ruling creates a new type of privacy. As hand-held devices become more and more sophisticated, they will contain more and more personal information. Individuals rights of privacy in devices that are basically hand-held mini computers should be protected by the 4th Amendment to the US Constitution. I have every hope that when a case presents itself, the NY Court of Appeals will make a similar ruling that respects individuals rights of privacy against unreasonable searches and seizures of all types of hand-held telephones and computer devices. Should you, a friend or a loved one be subject to what amounts to be an unreasonable search, the criminal defense attorneys at the Law Office of Elliot S. Schlissel can use their expertise and diligence to protect your rights and the rights of a friend or a loved one. E-mail or call us at 1-800-344-6431. Picture courtesy of the Daily Iowan. James Cameron’s blockbuster movie, Avatar, has recently become the most financially successful movie of all time. It’s new-age 3D cinematography makes the movie both moving and compelling. The planet Pandora is simply beautiful. It has floating mountains and beautiful natural vegetation. 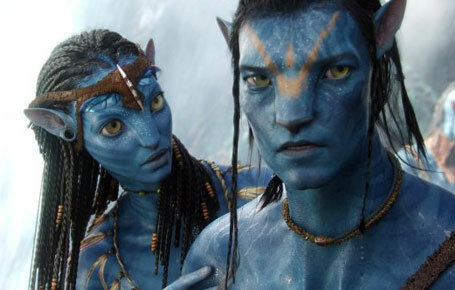 The Na’vi are the 10 foot blue-skinned inhabitants of Pandora. They live off the land in a beautiful, natural existence. They kill only those animals necessary to supply themselves with food. A global corporation that is intent on mining valuable minerals from Pandora is prepared to destroy the Na’vi’s precious ecosystem to meet their greedy needs. The mining company has developed Avatars, which are part human, part Na’vi bodies. The employees of the mining company can interact with the natives through these beings. An Avatar working as a spy for the mining company falls in love with a Na’Vi realizing the terrible plan of the mining company which he has been a central figure of will destroy the beautiful existence of the Na’vi’s. He turns against his own people. The movie has an anti-imperialism theme. The mining company resembles American corporations operating in third-world nations. The soldiers working for the mining company have many similarities to the United States Armed Forces. The actions of the mining company can be considered genocidal. The movie ends on an uplifting note. Although a science fiction flick, it does give you something to think about. Picture courtesy of Cool Blish.